Ambient display on the Android O developer preview is doing some odd things right now. It's showing a minimal and less useful UI for some people, while others see something more akin to the old version. Whatever is going on there, we do know of one small (but useful) change to ambient display in O—covering the proximity sensor now puts the phone back to sleep. In Nougat and earlier, ambient display won't kick on if the proximity sensor is covered. For example, if the phone is in your pocket. 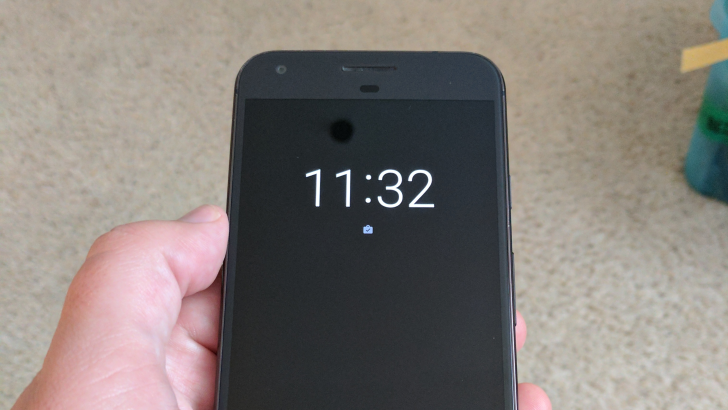 Android O takes that a step further and will actually turn the display off again if the sensor is covered. Again, imagine putting the phone back in your pocket after checking ambient display. It's easy to brush the screen in ambient mode and wake the phone up completely. However, that's less likely to happen if the screen shuts off as soon as the proximity sensor is covered. This is admittedly a subtle change. It's possible this will change in the final build, or it could simply vary between devices. Still, it's something to keep an eye on.